Our hygienic duo dispenser will leave surfaces clear and clean and will provide a long lasting and easy dispensing solution. Ideal for holding 3 separate sizes of gloves with 1 roll of 69cm/27' width aprons or bags. Dimensions: 392mm x 136mm x 266mm. Hygienic Will leave surfaces clear and clean. 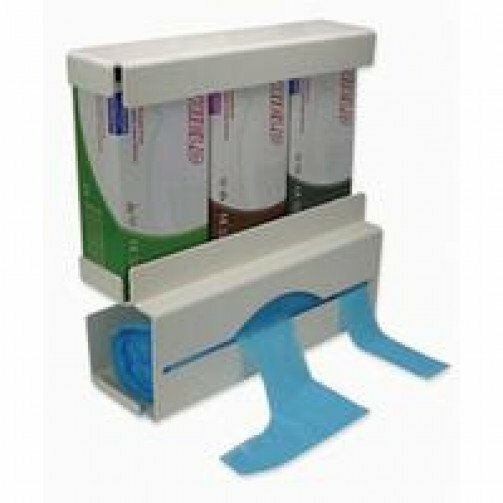 Lightweight & durable Will provide long lasting, easy dispensing holders. Wall mounted but removable Will allow easier cleaning and high level of hygiene.